Do you want to live out your faith in an extraordinary way and serve God abroad? Are you ready to be stretched and get out of your comfort zone knowing God is going to use you to reach others with the gospel? If so, join NHFC for a short-term mission trip and make a real and tangible difference in the lives of orphaned and vulnerable children. There are orphans all over the world experiencing neglect and poverty, who are deprived of a quality education, healthcare, resources, and more importantly, a healthy, family sharing the love of God. NHFC partners with our orphanages in Latvia, Ukraine, and Kenya to bring mission teams to support care of the children and share God’s love. Our goal is to make a positive impact on the caregivers, bring hope to the children, and leave knowing that all have been nurtured and lives improved because we were there. During the trip you will experience the culture, food, and community firsthand. Different trips require different levels of commitment with some being more mentally and physically challenging than others. The different food, a variety of bugs, lack of showers, lack of electricity, or lack of comfortable bedding can be overwhelming. You will be immersed in the lives of the children working alongside them in their environment which is far more impoverished than what you have likely experienced in the USA. In addition to bringing needed supplies, we share the love of Jesus through our words and actions and by doing Bible stories, crafts, and games that share the gospel while helping the children develop various skills. We also support the work happening in the orphanage by doing small improvement projects, cleaning the building/grounds, or assisting with other similar needs. The needs addressed on each trip differ and the amount of time spent with the children vs. working on projects will vary. Ultimately our trips are about serving God. We are going to places where we have clearly felt him call us to go and take a team. On our trips, we meet the children where they are at and build into their lives both physically and spiritually. You will meet and serve children living in poverty with varying degrees of delays, disabilities, and/or medical conditions such as HIV/AIDS. Often, many of the adults we work alongside have never accepted Christ themselves and grown up with hardship. We are there to serve both the children and their caregivers. Sometimes hygiene, behaviors, and interactions may be less than what you are accustomed to in your own experience. But we know the lives of the children and adults, as well as those of our team members, are changed forever when we take the time to step out of our world and into theirs and share the love of God. Your trip will challenge you to understand a world outside of yourself and possibly your comfort zone. NHFC will arrange your cross cultural training, travel logistics, accommodations and much more. You will be guided through trip preparation – such as passports, visas, and immunizations (if necessary) and you will need to meet certain deadlines. We will provide travel trips and packing ideas. Nhfc will do our part to help you prepare, but there are always risks, and we encourage you to read up on travel to the region where you are going and what you can do to also help prepare yourself for such a trip. Our experienced team leader will be on the trip with you to provide direction and guidance. The trips are physically challenging and there is not easy access to good medical assistance or handicap accessibility. In order to go you must be in good physical health, be able to walk a long distance without assistance, able to climb stairs carrying a small load, and you should not be taking a medication that requires any type of special care such as refrigeration. Kenya: Applicants must be over the age of 18, who have accepted Christ as their personal Savior, and agree with NHFC’s Statement of Faith. This trip is difficult on the body and the mind given the level of poverty and disease, required travel, limited food options, and remoteness in country. Latvia and Ukraine: Open to individual adults over the age of 18 who have accepted Christ as their personal Savior, and agree with NHFC’s Statement of Faith. In addition, children 13 and older may apply to come with their parent. In 2019, Lord willing we will be making two trips to an orphanage in Kenya in April and December. This is an amazing trip, but well out of the American comfort zone. The teams will fly to Nairobi and then bus to a desolate bush region about 6 hours from Nairobi. The team will spend 3-5 days at the orphanage and will spend the nights at a very basic hotel in the village. Sometimes there is water and electricity but it is not consistent. At the orphanage, the team will be doing crafts, Bible stories, playing/interacting with the children, and assisting with small projects around the center. There is no electricity or running water at the orphanage. Prior to going, the team will meet via video conference to pray, be trained, and prepare for this trip. At the end of the trip the team will return to Nairobi for a day of debriefing and some sightseeing. The team often goes to the Nairobi National Park to see animals in the wild. Team members raise 100% of the funds for the mission trip. Most members cover their fees by raising support from their church, family, and friends. NHFC will provide you with a fundraising page to share on your social media. These donations go directly to NHFC and are tax deductible to the fullest extent allowed by law. Team members raise the mission trip fee plus international airfare costs (airfare arranged by NHFC). Optional Excursion Fee: $275 Includes an extra night of lodging, meals, Souvenir Shopping, and a visit to the National Park (depending on schedule it will possibly include the Elephant Orphanage or Giraffe Park) with a guide. Personal expenses you incur for getting to your local airport, eating at airports, requesting a private room, additional sight seeing, souvenirs, phone sim card, or other items not detailed above purchased at your discretion. Space is limited on each trip. Within 7 days of submitting your application you will be notified about whether you have been selected for the trip, declined for a particular reason, or placed on the waiting list due to no remaining slots. If selected for the trip you will need to pay the $250 non-refundable deposit within 3 days to hold your position and then continue to meet each of the timeline requirements in preparation for the trip. Any missed deadlines may result in your space being given to another applicant. 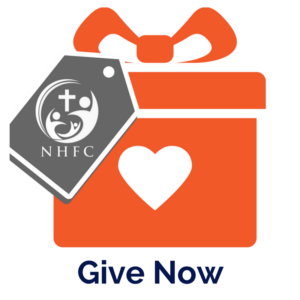 All fees paid are considered a donation to NHFC and are non-refundable. Please click on the following trips for the application.